Starter kits run about $200, but plan to spend around $500 to $800 to protect an average-size home. These tips will help you protect yourself with inexpensive, easy-to-install devices. So your first step, before you even think about buying an alarm, is to reinforce all door jambs and add better locks to all vulnerable doors and windows. If you’re concerned about your entry door, here’s how to reinforce it. The primary goal of any security system is to detect burglars before they enter your home. That requires a sensor on every vulnerable exterior door and window. That way, the system can activate the instant a burglar cracks a door or window. With the siren screaming, most burglars choose to run, rather than risk getting caught. You’ll have to fix the broken window sash or door jamb, but you’ll still have your belongings. 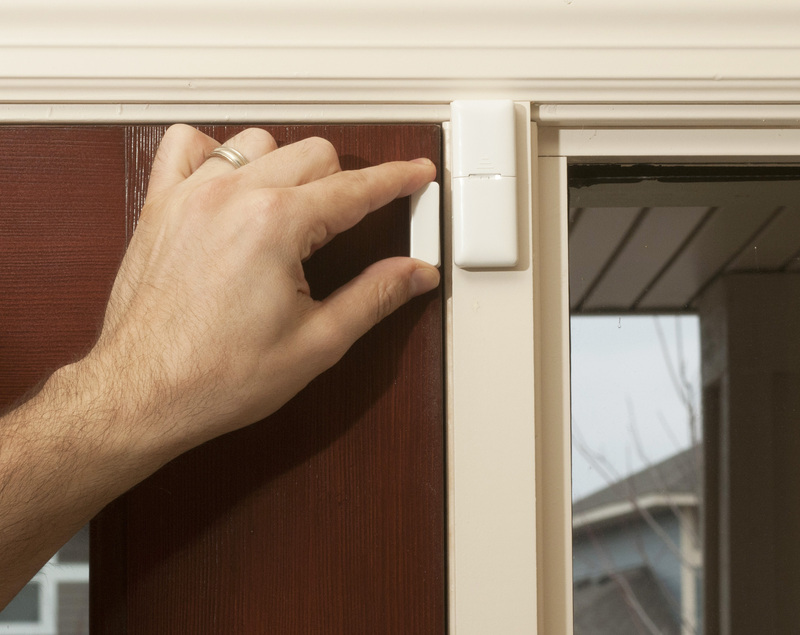 Here’s how to reinforce your entry doors and locks. Skimping on door and window sensors is the biggest mistake DIYers make. Trust us, the one window you skip, is the one window they’ll choose to enter. This house has five vulnerable side windows. Don’t skip the garage window or garage exterior service door! Burglars love to break into garages. There are seven more vulnerable windows on the front of this house. Add in a sensor for a garage service door and the door from an attached garage to the house and you get a grand total of 22 door/window sensors, which is way more than most kits include. Glass break sensors are perfect for protecting large windows that don’t open, like a large family room picture window. Or, they can add additional protection for especially vulnerable windows. But they’re not a substitute for an individual sensor on every openable window. Can you replace the glass in a double-paned window yourself? Yes, and here’e how. Where Do Motion Sensors Fit In? Motion sensors offer backup protection in case a burglar manages to get into your home. But they only operate when you’re out of the house. Don’t think they’ll protect you if someone enters when you’re sleeping! Quite the opposite, your alarm system actually ignores motion sensor signals if you arm the system but stay home. If the system worked any other way, it would false alarm every time you walked into a protected room. Since they only work when you’re away from home and only detect a burglar once they’re already inside, they’re not much of a deterrent. Worse yet, motion sensors generate the greatest number of false alarms, especially if you have pets. Because “pet safe” motion sensors can still false alarm if your dog or cat jumps into the protected area or puts on some weight. Use them sparingly and make sure you follow placement directions to the letter. Sure, you’ve already got smoke and carbon monoxide detectors. But do they alert you by text or email if they detect a fire or CO when you’re away from home? We didn’t think so. Neighbors won’t notice a fire in your home until the flames are leaping from the windows. That’s too late. If you want to catch a fire in the early stages, you need alarm-compatible smoke detectors. If you hook up to a monitoring service, they’ll call the fire department right away. If you don’t use a monitoring service, the system can call, text or email you and a list of friends and neighbors. You’ll need one smoke detector in every bedroom, one in each hallway near the bedrooms and at least one on every level of your home. Check out these life-saving tips on how to prevent fires in your home. Water sensors alert you right away if your water heater springs a leak or your sump pump fails and the sump overflows. The sensors are cheap (around $20 each), yet they provide tremendous value by alerting you early to a potentially devastating water problem. Here’s how to prevent water damage when you’re away. Not connected to monitoring? Install your own water leak detection system. If you live in a cold climate, add a freeze sensor. The sensor works with your alarm to alert you if your home’s temperature drops below 41° F. That’ll give you enough time to call friends or neighbors and coordinate and emergency HVAC repair before pipes freeze and burst. These are some steps you can take to help prevent frozen pipes. 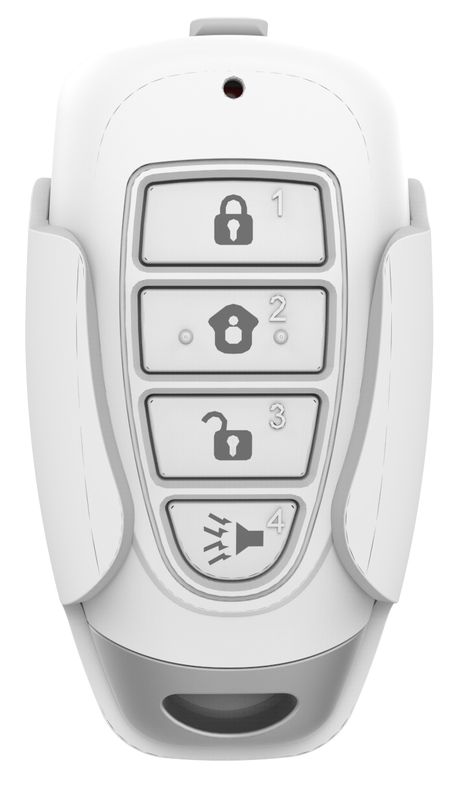 Panic buttons add an important layer of personal protection to your home security system. Use them to report a forced intrusion or medical emergency. They’re especially helpful if you’re connected to a monitoring service because police respond faster to panic alarms. 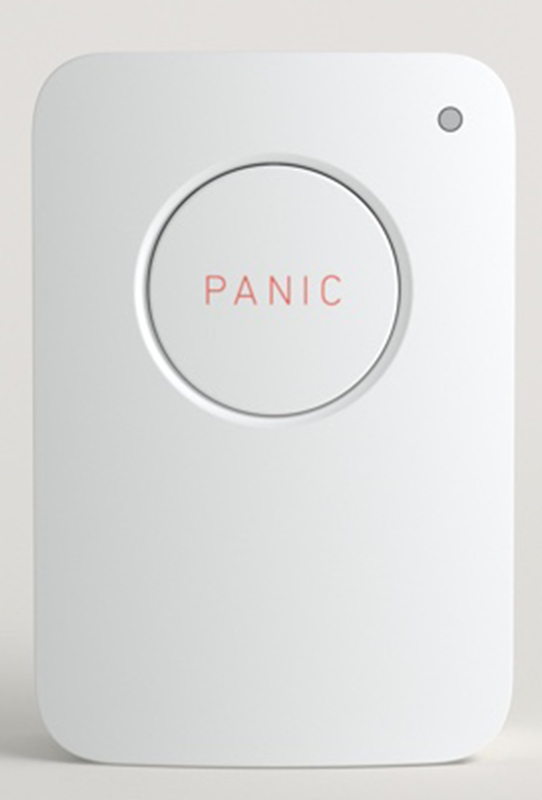 Install a panic button near your front door and in bedrooms. Some alarm systems allow you to arm and disarm from your smartphone. That’s a convenient feature, but it doesn’t eliminate the need for at least one keypad arming station. You’ll need a keypad to allow neighbors and family to access your home when you’re out of town or in the event of an emergency. Locate the keypad near the door you use most often. 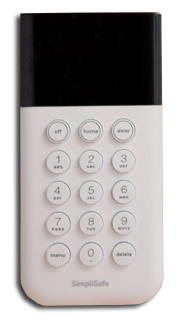 Add a second keypad in your bedroom so you can arm the system at night without your smartphone. Your smartphone can come in very handy for all sorts of DIY projects. Here are 16 examples! An alarm key fob works just like a car key fob. Instead of pulling out your smartphone or entering a code on a keypad, simply click the key fob to arm/disarm your alarm system. 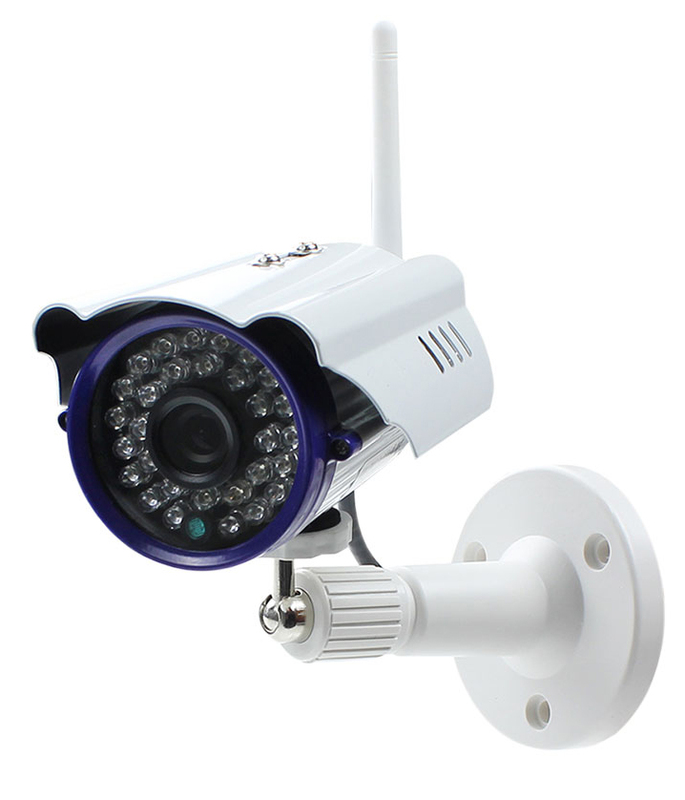 Adding an exterior video camera gives you even more control over your home’s security. The motion detection feature starts recording the instant someone approaches your doorstep and sends you an alert. You can monitor the live action right on your smartphone, tablet or computer. Plus, the camera’s talk-back feature allows you to converse directly with delivery people or have a “friendly conversation” with the neighborhood package thief. Turn the recording over to the police to help with arrest and prosecution. Interior surveillance cameras operate the same way. Here’s how to install exterior surveillance cameras. Emergency dialer: If you don’t want to connect to a monitoring service, buy a dialer and program it to call and play a recorded message to neighbors and friends to notify them of an alarm at your home. Indoor siren: Add a siren on each level to alert family members. Garage door sensor and switch: The sensor mounts on your garage door top panel and lets you know if you’ve left your garage door open. Command a close operation from your smartphone and the open/close switch operates your garage door opener. Home automation lamp switch: Integrate home automation switching with your alarm system. Apply the double-stick adhesive tape to the back of the sensor and magnet. Place the sensor on the jamb side of the door. Align the arrows on the sensor and magnet and apply the magnet as close to the sensor as possible. Follow the same procedure to install sensors on every window. The only downside to installing a sensor on every window is that you can’t open the window for fresh air and still be protected. But there is a way around that problem. Install a single sensor with two magnets. Open the window just enough to get fresh air, but not enough to allow an intruder to squeeze through. Place the sensor and a magnet at that open location. Then close the window and place a second magnet next to the sensor when the window is closed. Interviews with burglars show that yard signs and window stickers are an effective deterrent. If the burglar thinks you’ve got an alarm system, they’ll move on to a more vulnerable house. Most cities and townships require an alarm permit if you subscribe to a monitoring service. Some even require a permit if you’re installing a local alarm that doesn’t call the police. If you skip this step and have a false alarm that results in a police call, you’ll get a stern warning and or a fine. Hook Up to Monitoring or Go It Alone? Most home insurance companies offer up to a 10% discount if you install an alarm with monitoring. If you install either the SimpliSafe or Skylink systems we show here, monitoring costs just $15/month. In many cases the discount offsets the monitoring fee. With monitoring, you get the peace of mind knowing that you’ll be notified right away if there’s a break in, fire, carbon monoxide or water leak, or a furnace failure. These tips will help you save money on home and car insurance bills, either from things you’re already doing or quick home fixes you can make today. Wireless door, window, glass break, motion, water and freeze sensors communicate with a hub or base station in your home. The main control must be centrally located in your home and have full time non-switched AC power. To work with your smartphone, the hub/base station must also connect to your router with either an Ethernet cable or your home’s WiFi. If you decide to connect to a monitoring service, you may also need a landline or a good cellular signal. Check with the manufacturer for phone and Internet requirements before you buy. Some alarm systems come equipped with internal battery backup. But if you lose power, you also lose your modem and WiFi router, and that means you lose alerts from your home’s security system. Protect yourself by installing an uninterruptible power supply system (around $125) from any electronics store. Here are some helpful tips on surviving a power outage. 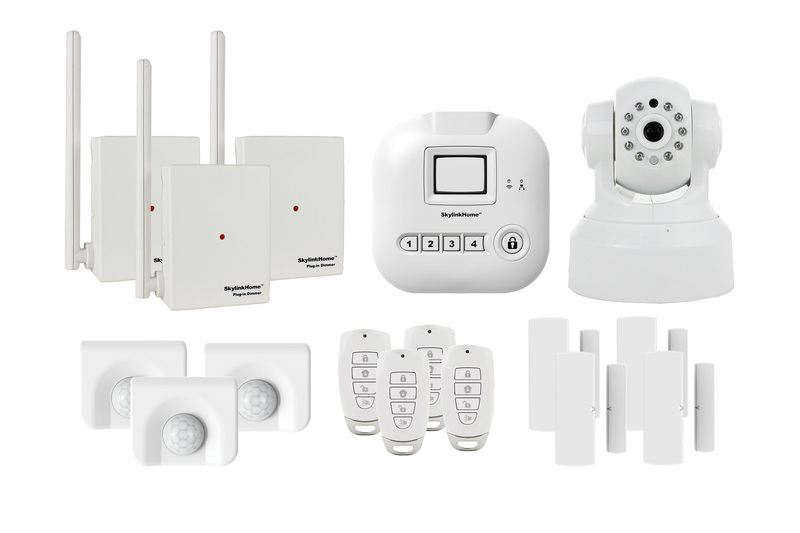 The SimpliSafe system is super easy to install. There’s no programming. Just attach the sensors and plug in the base station. 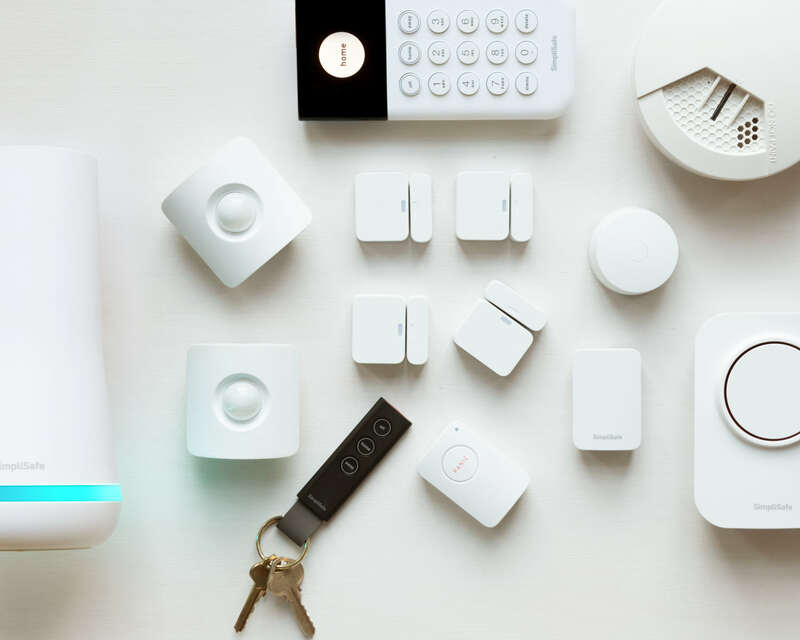 SimpliSafe offers six packages starting at $229. SimpliSafe offers “no contract” monitoring for just $15 per month. 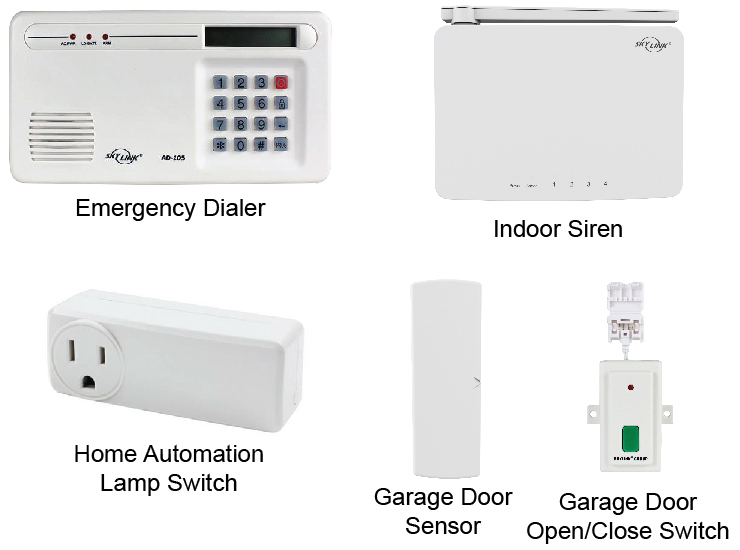 Skylink offers a complete assortment of home security and home automation components. Monitor and operate up to 100 security and automation components from a single hub. Skylink monitoring is $15 per month. 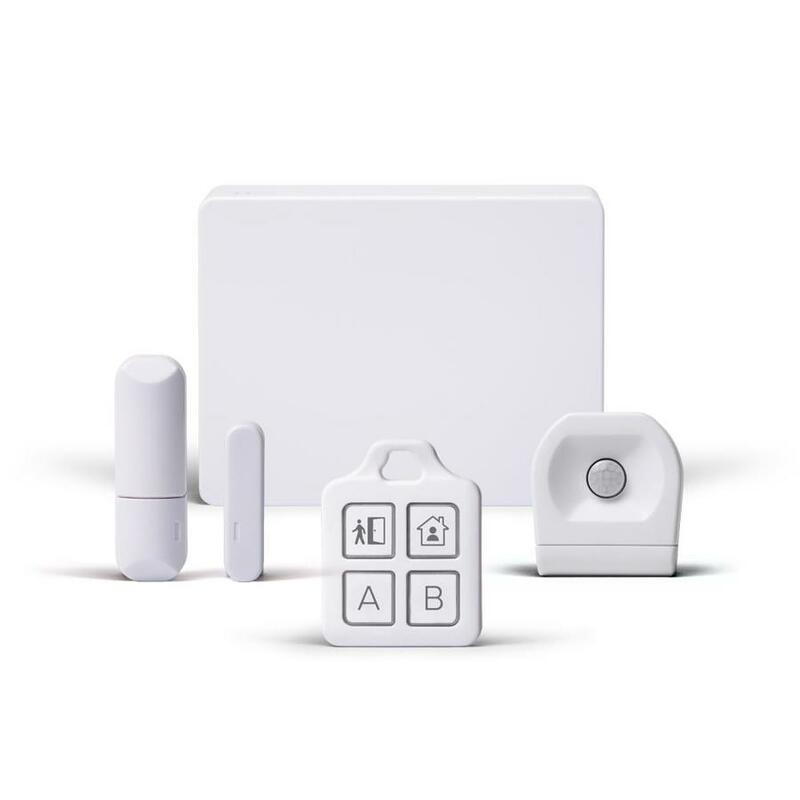 The Iris system from Lowes is fully expandable to include all types of sensors as well as home automation devices. 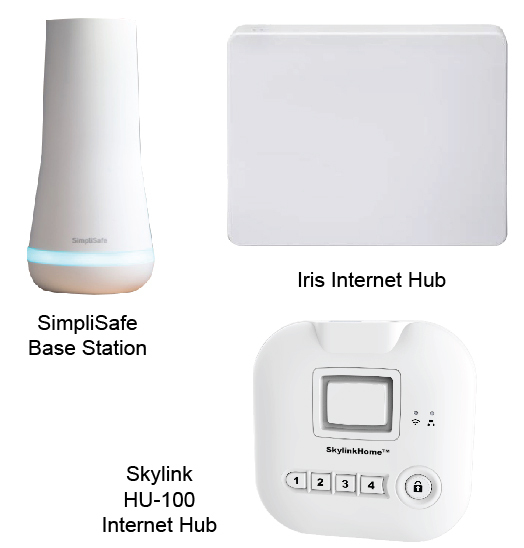 The Iris starter kit ($150) includes the Internet hub, door sensor, home automation fob and a motion sensor. Operate the system from a keypad, your smartphone or Google Assistant.